A nebuliser is a medical device used to administer a drug in aerosol form through a mouthpiece or facemask. 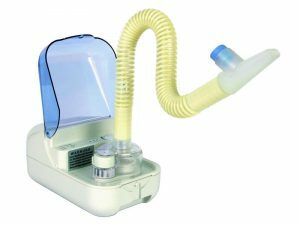 Nebulisers are used to treat respiratory disorders requiring inhaled therapy administered often several times per day, and include asthma, COPD, emphysema, cystic fibrosis and pulmonary hypertension. Supervised emergency treatment of an asthma attack with administration of bronchodilator drugs can be treated using a nebuliser. 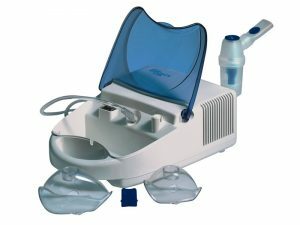 What Types of Nebulisers are Available? These criteria encourage good patient compliance leading to improved wellbeing and better quality of life. It is important that nebulisers be thoroughly cleaned after use to ensure long term reliability. 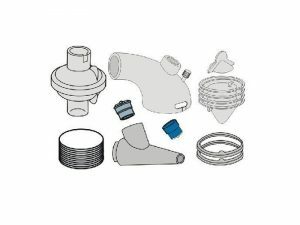 It is important to read and understand thoroughly the way a nebuliser should be used from the manufacturer’s instruction manual supplied with the device, which parts should be replaced and at what intervals, and what the servicing requirements are. If a hospital consultant decides that a nebuliser is necessary for administration of a prescribed drug they can apply for NHS funding to provide a nebuliser. If a GP recommends using a nebuliser the GP cannot prescribe a nebuliser and can only prescribe the drug to be administered. 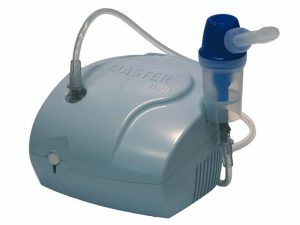 Nebulisers are not exempt from VAT when supplied to hospitals, GP surgeries and pharmacies however patients who are recommended to purchase a nebuliser by their GP can qualify for VAT exemption and can claim VAT exemption by signing a declaration to this effect. Manufacturers can supply VAT exemption forms on request. 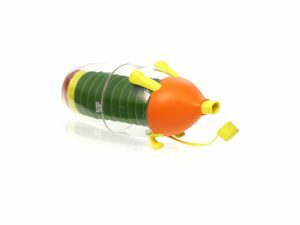 These operate silently and deliver high performance inhaled therapy. 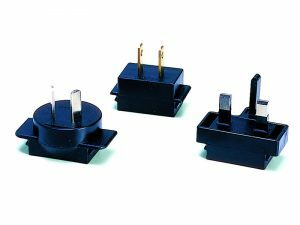 Electrical energy is converted into mechanical vibrations which are transmitted into the medication solution and at the peak of every vibration small droplets are released which can be inhaled as an aerosol mist. A droplet spectrum which can easily penetrate the alveoli is produced with usually 60-80% of the droplets being smaller than 5 micron. This leads to high intra bronchial and intra thoracic deposition, lower medicine consumption with fewer side effects and short inhalation times. The aerosol is often warmed which prevents coughing and irritation and good patient compliance. Ultrasonic nebulisers are often breath activated so when the device is switched on the aerosol remains in the medication chamber. During the inhalation phase the patient breathes in, then holds their breath, then in the exhalation phase breathes out. Schill Multisonic® nebulisers operate from mains power, rechargeable battery or car cigarette lighter power source, are small and compact, and ideal for travelling. They are simple to use and easy to clean. The Profi and Infracontrol have exhalation filters to prevent skin and eye irritability to patients, nurses and carers from exhalation of drug residues. Profi and infracontrol nebulisers are silent operating breath activated devices powered by mains (AC100-250V) rechargeable battery – 1 hour use, or car cigarette lighter facility. A fine aerosol mist is generated with small diameter droplets 3.5 micron sufficiently small to reach deep into the airways and penetrate the alveoli and an output 0.6ml/min. Frequency is 2.5MHz. 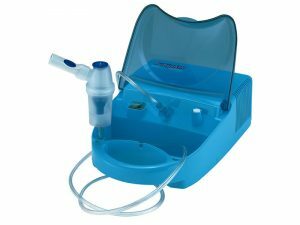 The Travel nebuliser is compact, lightweight easy to use silent nebuliser which uses fluid as an ultrasonic conducting medium. Automatic stop after 10 minutes to prevent overheating. 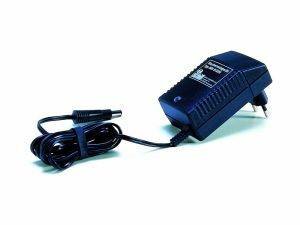 Mains power supply unit (230V, optional 110V) with 12V DC, rechargeable battery up to 30 minutes use, optional car cigarette lighter adaptor. 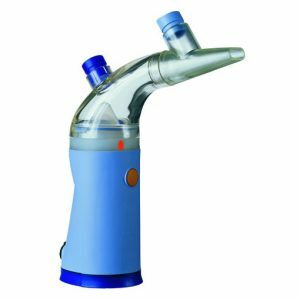 Nebulization rate: 0,2 – 0,7 ml/min. 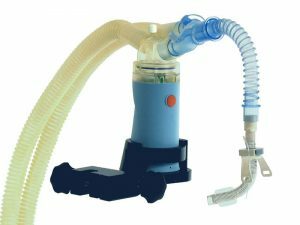 Simply breathing in deeply – the silent operating Aerosonic Combineb nebuliser provides rapid relief at an affordable price and offers comfortable inhalation. Equipped with an A.D.R. system patients can match the aerosol delivery to their breathing pattern or can select continuous flow through a mask or mouthpiece. Optional extras are aerosol heating, a rechargeable battery pack and medication cups. Effective drug delivery with a droplet size that can penetrate the alveoli. Low medicine wastage through A.D.R. system (matching to breathing pattern). Can be used in continuous flow mode, gentle enough for small children. Comfortable as it is simple, rapid and quiet in operation. Suitable for use with a wide range of medicines. 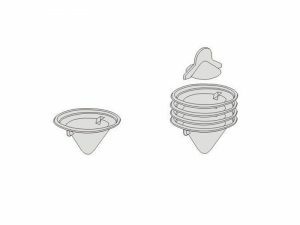 Additional hygiene through the use of medicine cups. Option of aerosol heating to further improve comfort. 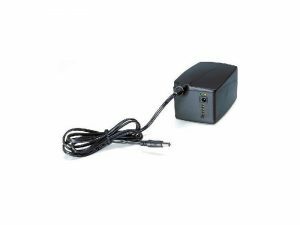 Mains power 230V, optional rechargeable battery pack. The efficient and quick-to-deploy aerosonic MicroMesh HL 100 helps people of all age groups breathe easy again. It is mobile, discreet and efficient from a new generation of mesh-type nebulisers. MicroMesh turns inhalation into a child´s play. The continuously discharged aerosol is simply inhaled via mouthpiece or mask. For adults of all ages and for children. Its small size, low weight and battery pack make the MicroMesh ideal for mobile use. These are usually powered by mains power supply. A compressor is used to blow air or oxygen through the medicine solution to generate a fine mist of the medicine. This mist is breathed into the lungs through a mouthpiece or mask. These devices are widely used but have the disadvantage of being noisy to operate (60dB+).